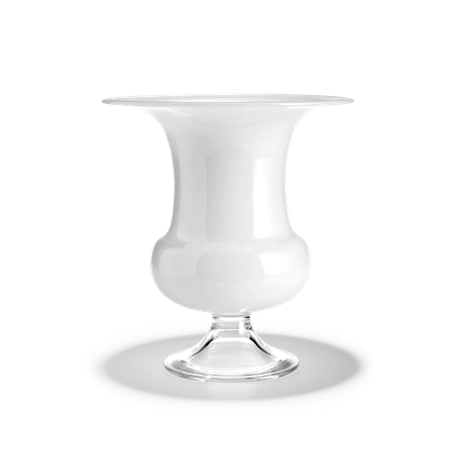 The Hyacinth vase by Holmegaard was designed by Claus Dalby and stands 14 cm tall. 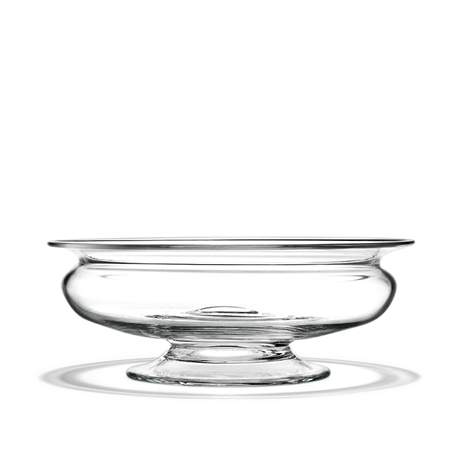 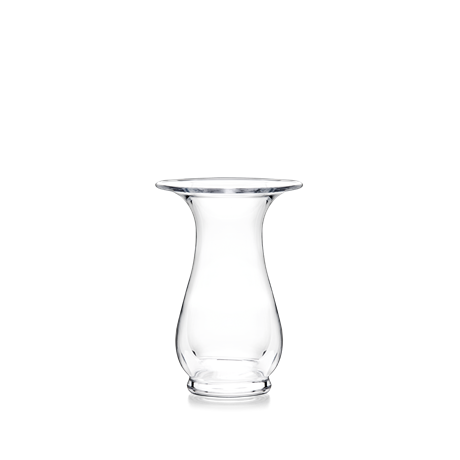 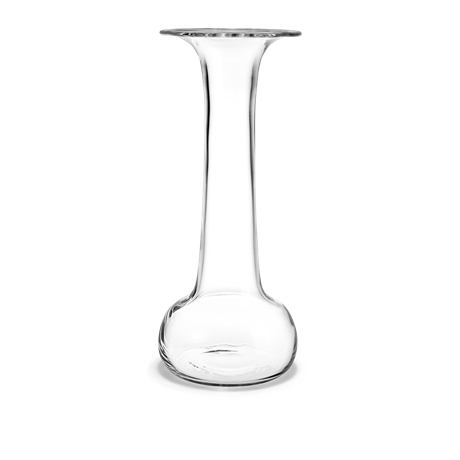 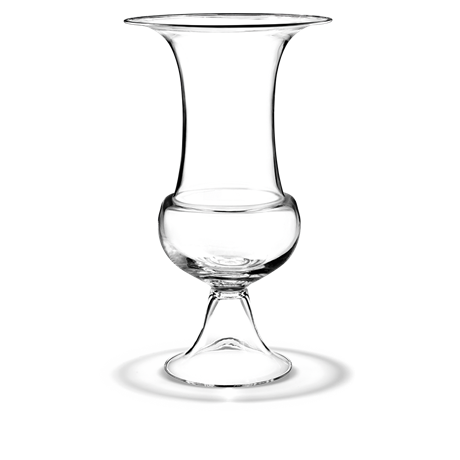 It is a part of Holmegaard’s lovely Old English range of hand-blown, clear glass. 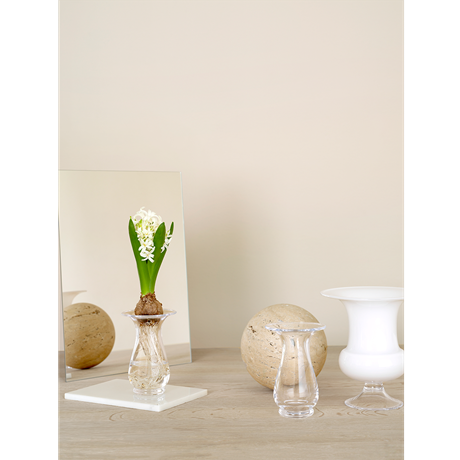 The vase is perfect for hyacinths, but can also be used to display other bulbs and small flowers, which will be beautiful in this elegant little glass vase. Claus Dalby’s work spans from passionate gardening and floral artistry to writing and publishing. He lives in Risskov, near the city of Aarhus in Denmark, where his large, impressive garden surrounds his beautiful classic 'Patricier Villa’ home, providing the ideal setting for his gardening passion. 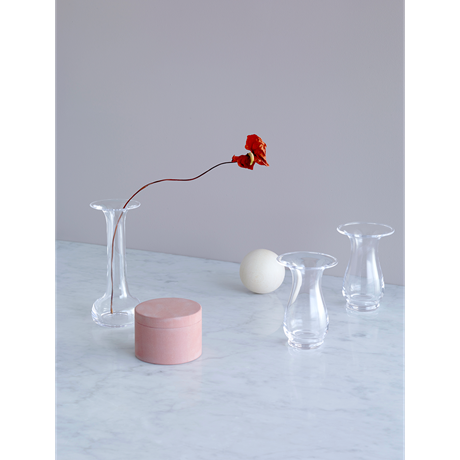 Claus began working with Holmegaard in 2014, when he developed the classic, mouth-blown range of vases called Old English. 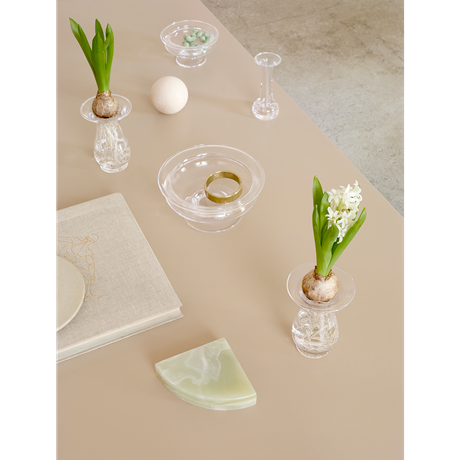 The ambition was to create vases and flower bowls, based on the characteristic Holmegaard glass look, that are easy to decorate and that beautifully accentuate the flowers.